Central Warehousing Corporation, Mini-Ratna (PSU) released advertisement for the recruitment of Management Trainee (MT) (General & Technical), Assistant Engineer (AE), Accountant, Superintendent (General), Junior Technical Assistant & Hindi Translator. 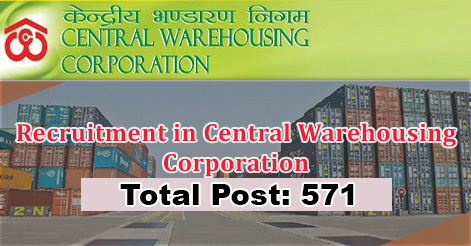 Central Warehousing Corporation invites applications from the eligible candidates to fill up 571 posts in various departments. Interested candidates may apply online from 15 Feb 2019 to 16 March 2019. Selection of the candidates will be based on the Online Test, Document Verification and followed by Interview as per Post. Note: Please check the official notification given below for complete exam pattern and exam syllabus. Interested candidates can apply online from the official website of the Central Warehousing Corporation i.e. www.cewacor.nic.in from 15 Feb 2019 to 16 March 2019 and no other mode of application will be accepted. 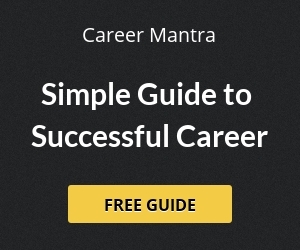 Help us to improve this article/job posting "571 Multiple Post Recruitment in Central Warehousing Corporation". We would be glad if you can comment below and provide your valuable suggestions and feedback. If this page have any wrong information/list or out of context content, then you can report us as well.